Ideally, when performing electrochemistry measurements, the sample being tested should be stirred. 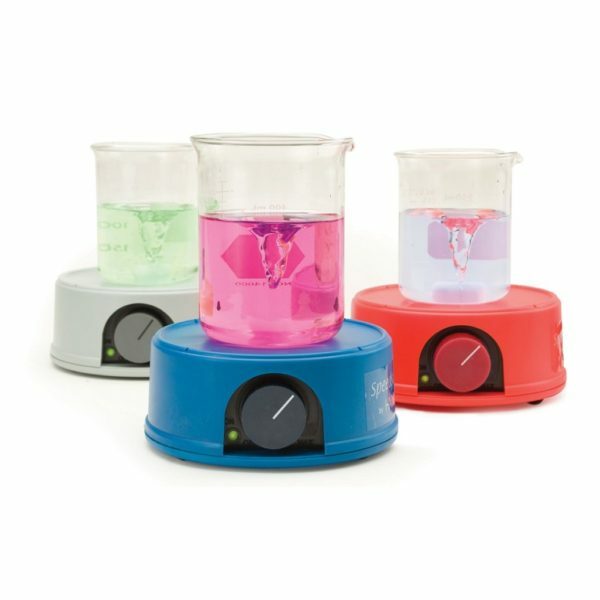 The use of a magnetic stirrer allows for proper mixing and the sample to be homogenous in consistency and temperature. The stirring of the sample also helps speed up the response time of a sensor in achieving a stable reading. The HI180 series of magnetic mini-stirrers are compact and lightweight, allowing for easy handling in the laboratory environment. Limited area on laboratory benchtops is no longer a concern with these colorful, space-saving stirrers. Several HI180 mini-stirrers can be placed on the laboratory bench at once and the ten available colors can help the user to recognize different samples. Power-indicating LED lights also assure users at a distance that the stirrer is in operation. The durable plastic covering will resist harmful effects of accidentally spilled chemicals. 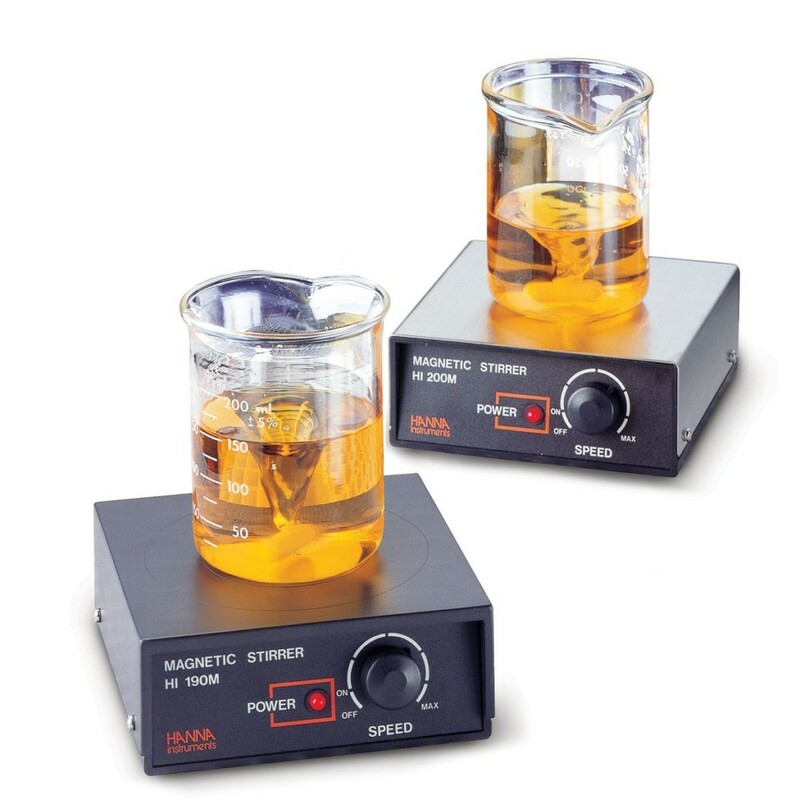 The HI180 magnetic stirrer is cost effective for the customer that does not need the added expense of a heating element, incorporating electronic controls that allow the user to easily regulate the speed with greater precision. Often in the lab, a sample is removed from a stirrer before the speed is adequately reduced. Normally this would cause the internal motor to accelerate until it is damaged. To control the speed from changes in viscosity or removing of the load the HI180 magnetic mini-stirrer incorporates the Speedsafe™ mechanism. With Speedsafe™, a speed sensing device (opto-sensor) is coupled with an FVC (frequency voltage converter) to monitor the stirring speed. As the speed reaches a preset maximum level, the speed limiter shuts down the VCO (voltage-controlled oscillator) to slow down the motor speed. This ensures that when the load is suddenly removed from the stirrer, the motor will not accelerate to such a high speed that will be hazardous to both the user and the stirrer; a feature not commonly found in conventional stirrers.